This amber glass bottle with a dropper top is fabulous for your handmade perfumes, massage and facial oils. One set includes one amber glass bottle and one dropper top. COMMENTS: I use this bottle for my beard oils and it is a gray little bottle for that purpose. The dropper makes it so much easier to apply just the right amount in the palm of your hand. COMMENTS: Perfect bottles for my beard oil! COMMENTS: nice multiuse bottle, great for beard oils, facial serums and lotions. COMMENTS: Perfect size for face oils and serums. The dropper is excellent for keeping the product clean and contaminant free. "1 oz Amber Glass Bottle & Dropper"
COMMENTS: Nice thick bottle with sturdy dropper. I use it for my beard oil. COMMENTS: I love these bottles as they are the perfect size for beard oils. The color is great and the dropper lid makes it easy to get just the right amount! "Excellent for storage of Essential Oils!" COMMENTS: These glass bottles are the perfect answer to storing essential oils and liquid iodine! The darkness of the glass keeps sunlight away from our expensive oils and allows you to keep smaller quantities handy for your work. Glass being glass, they are breakable, however they aren't super fragile. The dropper is perfect for counting just the right amount of drops into your products. Highly recommend. "1 oz Amber Glass w/ Dropper Top"
COMMENTS: Perfect for my Beard Oil product! Nice size and topper included in price! Will re-order. COMMENTS: I wrote the company with a custom request to get these in, thank you very much for being great to your customers! COMMENTS: These bottles are GREAT, fantastic dropper quality and not a single one broken! So happy with them, going to launch some beard oil. I even used a few around the house to hold my EOs for household use. These bottles surpass the ones I can buy at the store, and I love the color. All I can find is blue here, so yahoo these are fantastic! COMMENTS: they work well for face serums and don't have to worry about the essential oils with glass. "great price for quality product"
COMMENTS: I use these bottles for my beard oils and facial serums. They are good quality, and the price is great if you buy 48 and get free shipping as well. Beats the price of my local supplier, for a nearly identical product. The glass is thick, so I don't worry about breakage. The glass dropper is better than plastic, because it doesn't break down when in contact with EOs. "Amber glass bottle with dropper"
COMMENTS: Love the amber color, perfect for my beard oil, nice dropper and perfect size for sale of beard oil. Good pricing. COMMENTS: Perfect bottle for rustic look I wanted for my melt refresher oils. "1 oz Amber Glass Bottle & Dropper Top"
COMMENTS: These bottles are perfect for my beard oil. I've recently started buying them in larger quantities because my beard oil sells like hot cakes! Great size and a nice looking bottle. Exactly what I was looking for. COMMENTS: Used these to make a batch of beard oil. Perfect size and the dropper applicator is so handy. I am sure I will find many more uses for these pretty amber bottles. COMMENTS: Nice quality bottles and cheaper than my old supplier! Love these bottles. COMMENTS: Very pleased with these bottles. Will be ordering more soon. COMMENTS: These bottles are perfect for my scalp treatments. A 2x4 label fits well. COMMENTS: Love these bottles for Beard Oil. They are sturdy and look professional. Very pleased with this product. COMMENTS: These are great for many uses! I currently use them for Beard Oil and the work perfect! COMMENTS: As an Aromatherapist, I really enjoy giving my friends and family homemade face serums and tinctures. These glass jars are a great thing to keep on hand for such things. Love them! "Perfect for essential oil blends & beard oils!" COMMENTS: I use these droppers to mix essential oil blends and beard oils - they are the perfect size and the dropper top is so convenient. Best price I have found anywhere. COMMENTS: I love these amber bottles! I do wish that they came with an orifice reducer and cap as an option as most essential oils will eventually break down the rubber an you will get rubber into your oils..not good. However they are great little bottles for the price!!! COMMENTS: Consistent with the bottles I'd been buying before WSP started carrying these. Good quality. COMMENTS: These bottles are perfect for my face oil, just the right size! 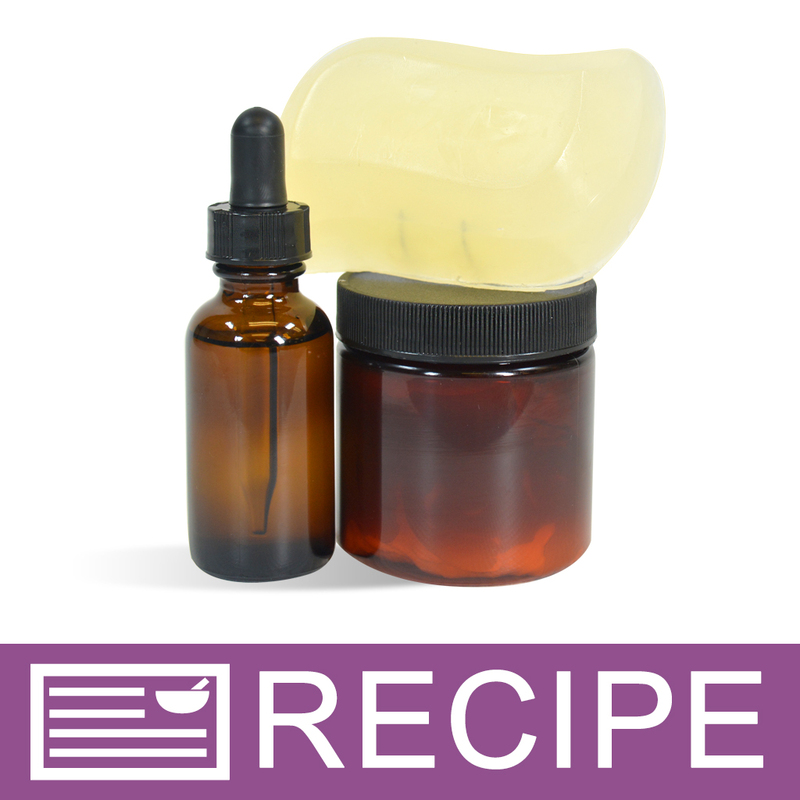 "1 oz Amber Glass Bottle & Dropper Top - 20/400"
COMMENTS: Perfect for storing Essential oils or fragrance oils. COMMENTS: I use the bottles for beard oil and hair serum. They look professional in these bottles. COMMENTS: These bottles work great and the quality is excellent!! COMMENTS: These bottles are perfect for any facial oils. They are very sturdy and look very nice when packaged. COMMENTS: I love the size, my labels fit perfectly! So many of the glass amber bottles are too big or too little and labels over lap, but not on these. COMMENTS: These are affordable, work and look great for serums. "What size labels best fits these bottles?" Staff Answer The label areas for this bottle is 1.5" tall by 1.5" - 2" wide (which is approximately half way around the bottle). "Will these hold 1oz dropper bottles?" Staff Answer These boxes will not hold either the .05 oz. or 1 oz. dropper bottles. "can you offer the bottles and the droppers separately in bulk?" Staff Answer This bottle and dropper are only sold as a set. The bulk size would be 360 bottle/dropper sets. 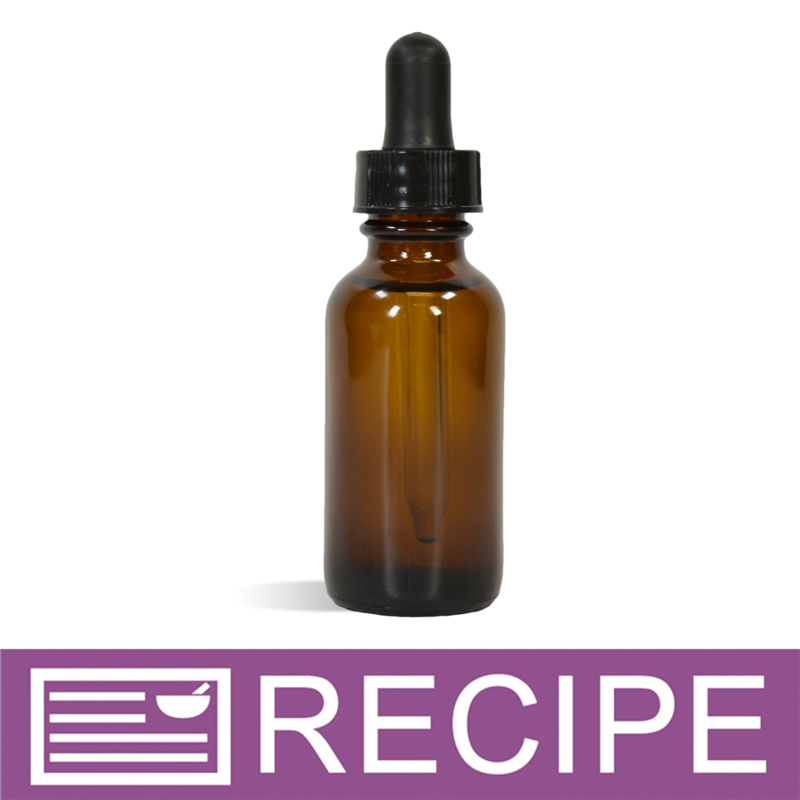 "Can these be considered food grade for making sublingual tincture?" Staff Answer This is a glass bottle and dropper which can be sterilized. You would need to test your product for compatibility with this bottle. "Is there a recommended label for this bottle? Thank you!" Staff Answer The label size for this bottle is approximately 1.5" high by 2" wide. We recommend looking at the labels we offer on our site- http://www.wholesalesuppliesplus.com/bags-wrap/labels-by-color.aspx. Choose the color you want, then scroll through to check the style of labels you might like and that fit these measurements. "Can you tell me the dimension of this bottle as I am wanting to order a display rack with correct hole size "
Staff Answer Bottle with dropper top is 3 5/8" tall and is 7/8" wide. We would suggest having this bottle in hand before ordering a display rack to make sure the bottles fit properly. "Can anyone recommend the shrink wrap size for this bottle and also recommendations on label size? Thanks!" Staff Answer Hi Cortney, We suggest using the 57 x 55 Shrink Wrap band. "IS THE DROPPER MADE OF GLASS? " Staff Answer Yes it is made of glass. Perfect for fragrance oils and essential oils. "Could you tell me the size of this bottle? How tall is it, not including the screw top and how big around is it? thanks!" 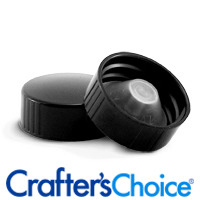 "What size orifice reducer fits the 1 oz Amber glass bottle. Do you also sell just the regular tops without the dropper tops for these bottles?" Staff Answer Since these bottles have a 20/400 neck size they require a 20/400 orifice reducer. "Will this bottle fit 20/410 treatment pump?" Staff Answer This bottle has a 20/400 neck size. Unfortunately that means that it is not compatible with a 20/410 size treatment pump. "Any plans to stock these with a white dropper top?" Staff Answer What a great suggestion. I will mention this to our purchasing team for consideration. At this time we are only stocking the black dropper tops.